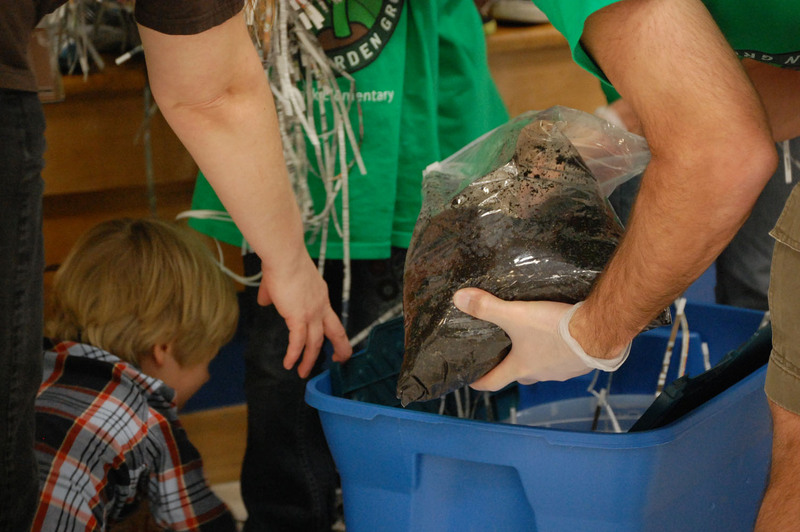 At the last meeting of the Green LIONS Garden Group we started our very own vermicomposting bin! 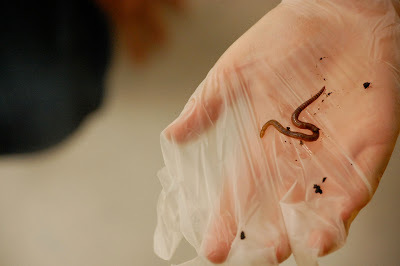 We were fortunate to have the expert help of Misty Townsley from WormWatcher who came out to get us started, http://www.wormwatcher.com/ . 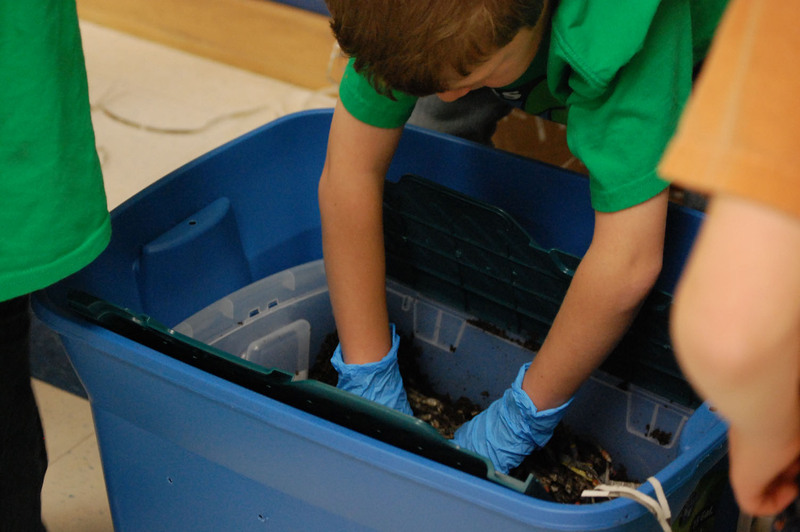 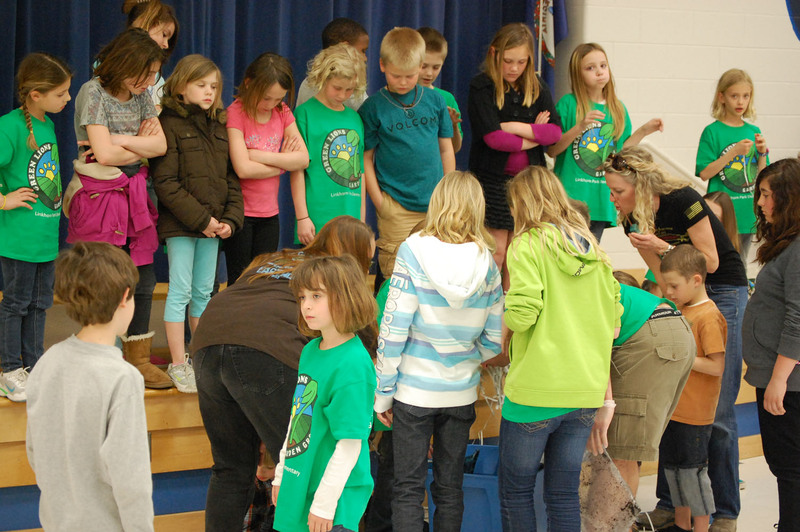 If your budget allows, the original WormWatcher bin is a wonderful teaching tool and composting system. If you need to spend less they offer a do-it-yourself kit that is easy to make and use. We made our own. We gathered our supplies and the kids and parents helped us load up the bin with quality soil and shredded newspaper. Then we introduced our red wigglers to their new home. 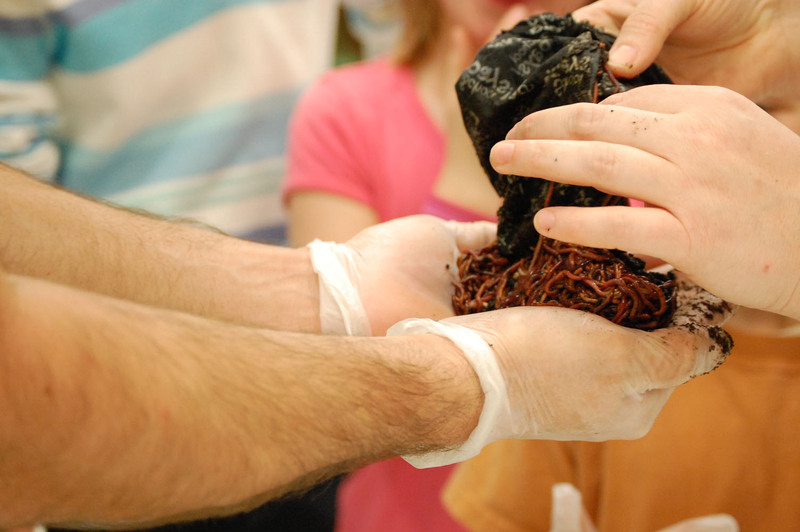 Red wigglers are wonderful composting worms and with a little care and food from us they will provide our garden with worm castings to nourish the soil and “worm tea” to pour over the garden for a natural fertilizer and insect repellent. Some of the classes at school will host the bin and will be able to observe the whole cycle of feeding the worms to gathering the castings, nourishment to decomposition to nourishment. 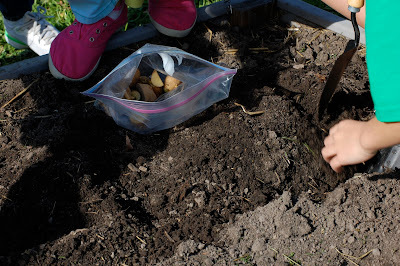 Speaking of our garden, we have started planting our Spring garden with potatoes and peas, and carrot, beet and turnip seeds. 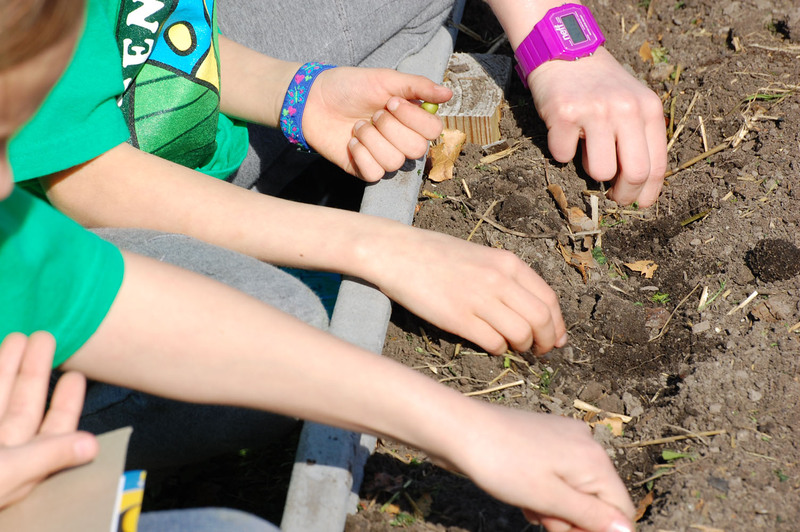 The students divided up into teams studying their seed packets to determine depth and spacing for each vegetable we planted. 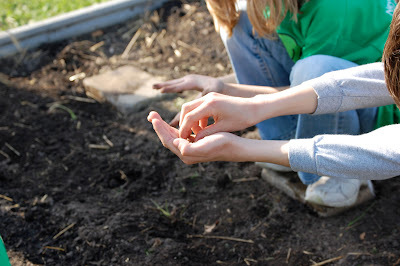 We’ll plant the other two garden beds in April and soon we’ll be enjoying a beautiful harvest from our garden!